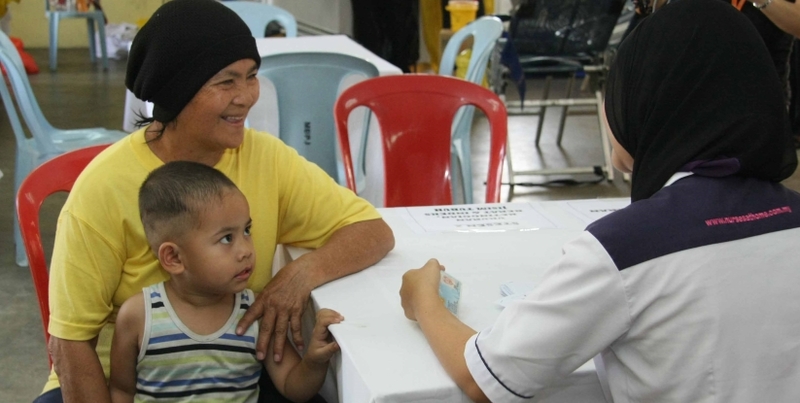 The Monash University Community Health Project (MUCHP) is a Demographic and Health Surveillance System (DHSS) located in the suburban area in Bandar Sunway in Selangor. The establishment of the DHSS will become an important resource for collaborative research with government and universities to address nationally and internationally relevant health related issues. This project will enable researchers to capture critical data that affects the health of the PJS 5 and PJS6 communities as information on health related issues will be collected progressively over a period of time. The summary of this information will be shared regularly with the community and participating households will be kept informed and updated on their health status based on data collected. The research results will also be conveyed to the Ministry of Health to provide evidence for future health policies for the benefit of the community as a whole. they are the communities within the vicinity of the Monash University Malaysia and therefore provide an ideal opportunity for Monash to engage with and contribute to its local community. they provide clear geographical boundaries which makes it possible to define exactly the population within the project. they include people from a range of backgrounds and different kinds of living environments: This gives us the chance to understand populations that may have different needs and characteristics. How these patterns change over time. to find out what are the most important health issues are, and in particular to understand which conditions are most commonly responsible for morbidity and mortality in populations in this area. to show the geographical distribution of health problems in an urban district and to describe how people reach and use the clinics, schools and welfare and volunteer agencies, where services and programmes are available to offer support with these problems. to describe the social and economic conditions and to see what effects these conditions have on the health of people and on the way care is provide for them. to explore the effectiveness of community-based interventions in promoting health and preventing disease.